The paper explains the need for a standard way of defining modelling constructs from different enterprise modelling languages and proposes a template for defining enterprise modelling constructs in a way that facilitates language integration. The template is based on the Bunge-Wand-Weber (BWW) representation model of information systems (IS) and has been used on several existing modelling languages and frameworks. It is illustrated with definitions of constructs from the Unified Modeling Language (UML). 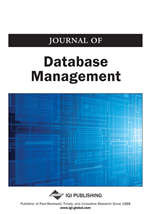 The paper focusses on modelling constructs that represent concrete problem domains, i.e., that represent materials rather than concepts, and thus focuses on the concrete parts and aspects of enterprises.